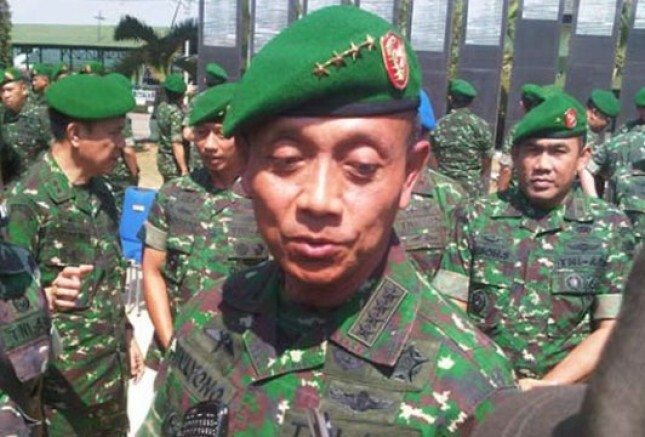 INDUSTRY.co.id - Bogor - Army Chief of Staff (Kasad) General Mulyono welcomed the postponement of the implementation of the Indonesian Medical Doctor's Honor Council of Ethics regarding the sanction of the dismissal and the revocation of the licensing recommendation to Dr. Terawan Agus Putranto. "It's good that we welcome the decision, we just leave it to what IDI has agreed on and IDI has taken the best step we appreciate," said General Mulyono after following the Isra Mi'raj memorial at Bogor Palace on Tuesday (10/4) / 2018). According to the Kasad, this delay does not mean softening IDI decisions but all decisions must be proportional. "All of them have to be proportional, IDI step is good, I appreciate," said Mulyono. Related to the Minister of Health's statement that will test the methods applied by Terawan for the national health insurance system, Mulyono submits it to the Ministry of Health which has the authority. "The name of science is the responsibility of Kemenkes, so one of IDI's policies will be submitted to the Ministry of Health and we will wait for the Minister of Health to have the authority," he said. In previous reports, Chairman of IDI Executive Board Prof Dr Ilham Oetama Marsis said the implementation of the Decision of the Medical Ethics Council of IDI regarding the sanction of dismissal and the revocation of licensing recommendation to Dr. Terawan Agus Putranto postponed. "That PB IDI postponed the execution of MKEK's decision due to certain circumstances, therefore it is affirmed that up to now, Terawan Agus Putranto is still a member of IDI," Marsis said in a press conference at IDI's Jakarta Executive Board on Monday (9/4). Marsis confirmed the delay in the implementation of the decision was made because IDI is still verifying and gathering additional evidence related to the decision of the Medical Ethics Ethics Council (MKEK) and the answer from dr Terawan in his defense forum on Friday (6/4). "The delay for us depends very much on the evidence, it could be an exemption from the allegations, but we can also make recommendations from MKEK," Marsis said.